Posted on October 22, 2014 by Katrina C.
Human beings are constantly looking for ways to communicate their own unique style. Thanks to the influence of social media, television, and print media that continuously boast of ways to express our individuality through selection and choices, the palette of colors is persistently growing every day. 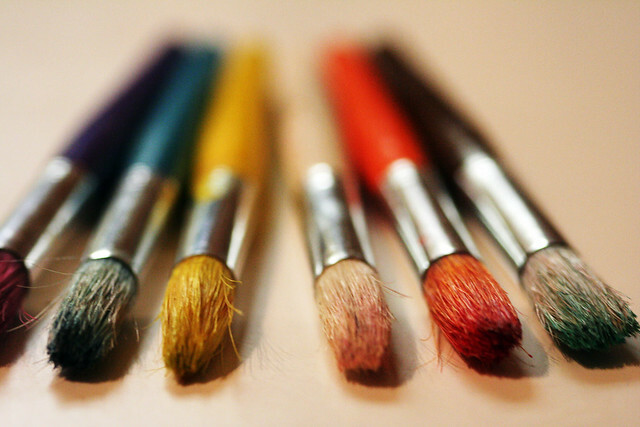 If the world is our canvas, then we are the ones holding the brush. Social media, television, and magazines are creating a greater desire for color choices and variations. Consumers are barraged with color options on a daily basis: what color car to buy, what finish to choose, paint for decorating their walls…the list goes on and on. Due to the sheer number of color variations, finding just the right color selection and matching that color precisely is where the real challenge begins. Color measurement provides a solution to pairing paints and coatings to sample selections through the use of advanced spectrophotometers, taking the guess work out of color matching. Researchers state that, “the tremendous variability in the spectral composition of light reflected from surfaces lends itself to eliciting a daunting gamut of more than 100,000 discriminable colors, and the variation in the names we assign these colors is limited only by scope of human experience.” This makes color selection extremely subjective. 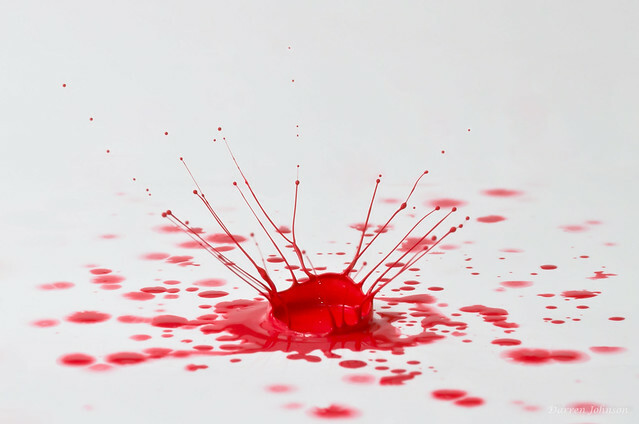 However, color measurement technology provides a complex and objective process that enables manufacturers to quantify color data for accuracy and repeatability. Variations in color are limited only by human perception and experience. Spectrophotometers provide accurate color measurement that delivers quantifiable data for precise color matching. When variations exist in “color harmony,” it does not always result in immediate product rejection. 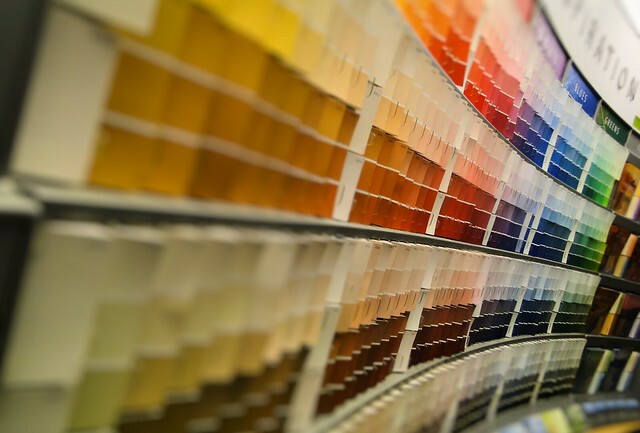 Consumers who find discrepancies between color selection samples and actual product results quickly learn to associate these findings with quality, which in turn affects consumer choice. Therefore, it is detrimental to eliminate color variations during the processing phase and before distribution. The sooner these color deviations are detected, the less time and money is spent on correcting the problem. Consumers make purchasing choices based on color selection and expect color samples to match the product. The ability to accurately mix colors to match color selection is dependent on the use of spectrophotometers for many reasons. Not only does color selection include hue, saturation, and color value, but other characteristics such as matte or gloss finishes relate to both texture and color perception. Spectrophotometers are designed to measure color in both reflective and transmittance mode, which accounts for the three-dimensional attributions of color that absorb or reflect light. All these traits must be accounted for in order to gain an accurate reading of a color selection sample. HunterLab offers the expertise and selection needed to address the various needs of the paint and coating industry with a variety of spectrophotometer options to choose from. HunterLab can help you choose the best instrumentation for your specific industry and budget needs. Contact HunterLab today to see how we can help you unlock the world of color. In paint and coatings color production if a batch is out of specs it is not lost but it can take some time to get the color back within tolerance. When HunterLab’s spectrophotometer are connected to ISOCOLOR software and detect color variations between standards and batches, production mix recipes can be adjusted on the fly and at the push of a button. The ISOMATCH software calculates the optimum color recipe in the lab and the ISOBATCH software calculates the adjustment of the quantity for each of the colorants (or for a minimum number of them). This color correction program coupled with a HunterLab measurement device is an efficient solution for quickly and accurately resolving color formulation in production and the challenges of inconsistent pigment supplies or changes in process. Will these spectrophotometer work on car paint matching?